Vented gas heaters are versatile enough to be used in various applications inside the home. 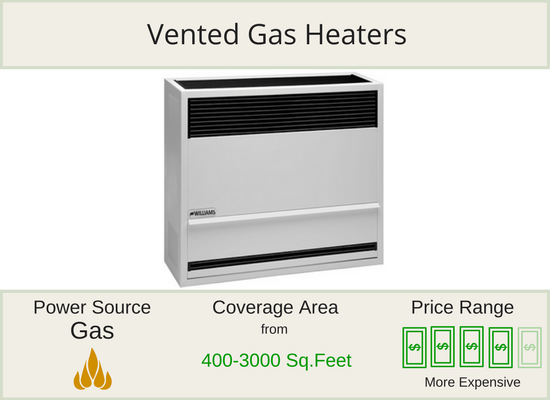 Available in both natural gas and liquid propane fuel types, there are many different types of vented gas heaters such as space heaters and direct vent wall furnaces. Vent free gas heaters make great supplemental heat sources. You have the option of choosing between blue flame and infrared heat. 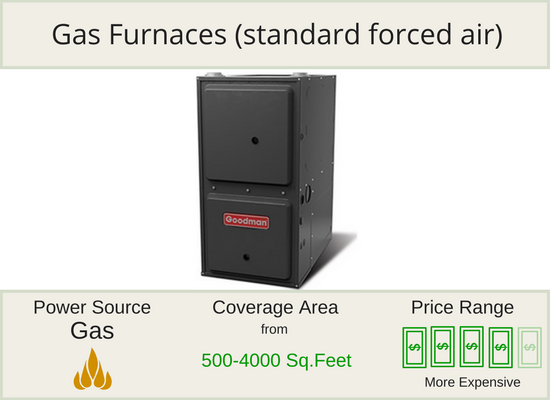 Both types of ventless gas heaters are available in natural gas, liquid propane, or dual fuel types. 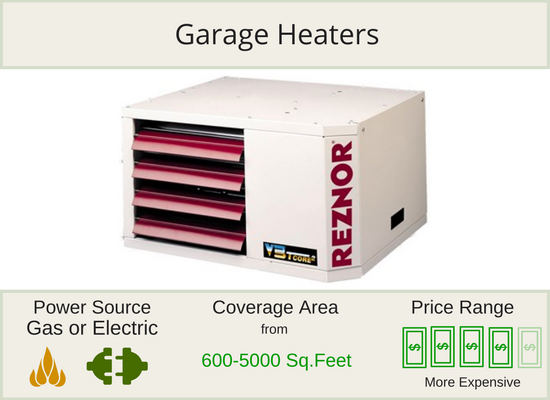 Garage heaters are specifically designed for garages. Their large BTU rating makes them powerful enough to heat an entire garage. Both gas and electric garage heaters are available. 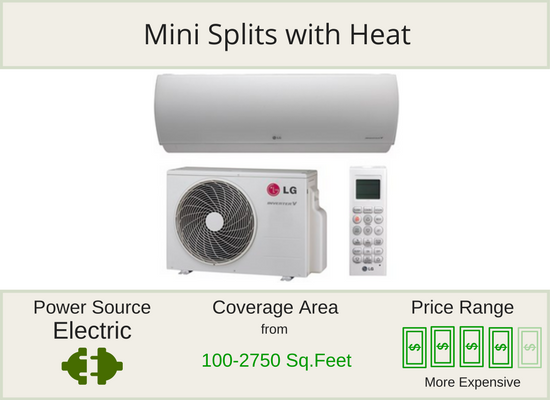 Mini splits with heat are highly efficient and make an attractive option for those who don’t already have ducts installed. A mini split heating system consists of one outdoor unit and one or more indoor units, all of which can be set to their own respective temperatures for maximum comfort and efficiency. Gas furnaces, also known as standard forced air furnaces, can be used with natural gas and propane. These types of furnaces, which use ducts to circulate heated air throughout the home, are ideal for those who want to heat an entire home with central heat. 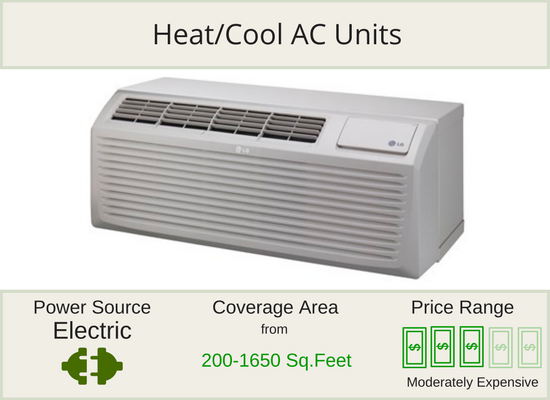 Heat/cool AC units, including PTAC and window air conditioners, aren’t nearly as efficient as the aforementioned heating solutions. However, these types of heaters are inexpensive and work well for smaller residences such as apartments, hotel rooms and hospital rooms. Temperature is easy to control, thanks to a built-in panel on the units. If you don’t have a gas line, electric wall heaters are a viable solution for your needs. 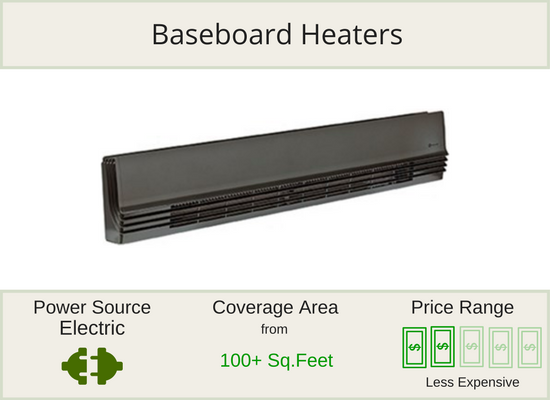 These heaters have a fan that blows air across a large electric heat strip to warm the space. 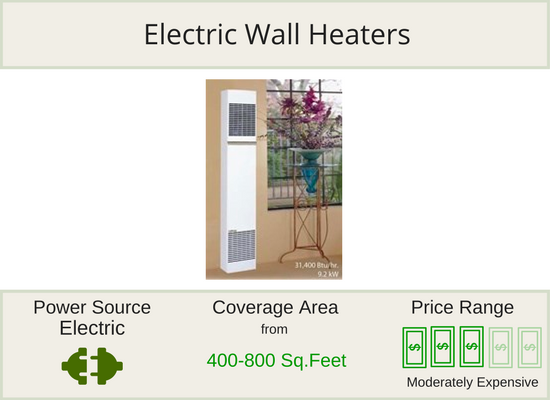 While not energy efficient, these heaters are a great choice when gas is not an option. 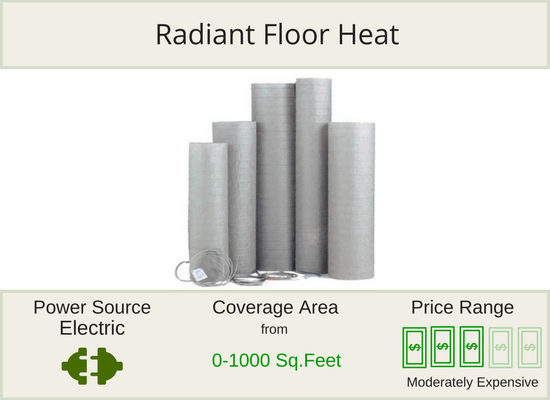 If you can swing it, radiant floor heaters make an excellent heating solution. Because heat rises, floor heaters do a great job of making the entire home feel cozy. As a bonus, you’ll never again have to worry about stepping on cold floors in bare feet. Infrared heating panels are attractively discreet. Their flat design makes them appealing for those who don’t have the space for a bulky heater. 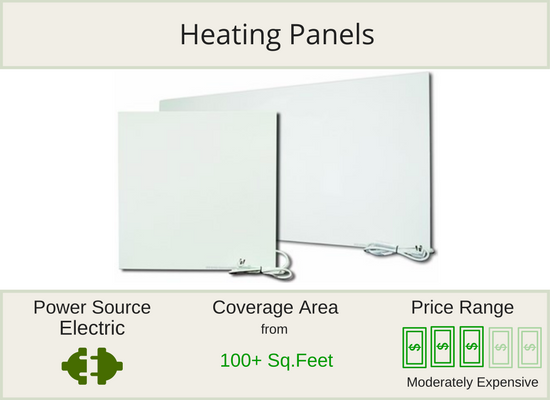 Thanks to infrared heat, these heating panels efficiently deliver an immediate feeling of warmth, all without making a sound. Industrial heaters are best reserved for commercial applications, such as heating large open spaces including warehouse, barns, workshops, and more. We offer both gas powered unit heaters and hydronic (hot water or steam) heaters. Once you understand the various types of heaters available, you can narrow down your options. You’ll find all of the aforementioned heaters right here at Total Home Supply. Shop our heaters now and contact us with any questions you may have. We’re here to help you make a smart purchase.